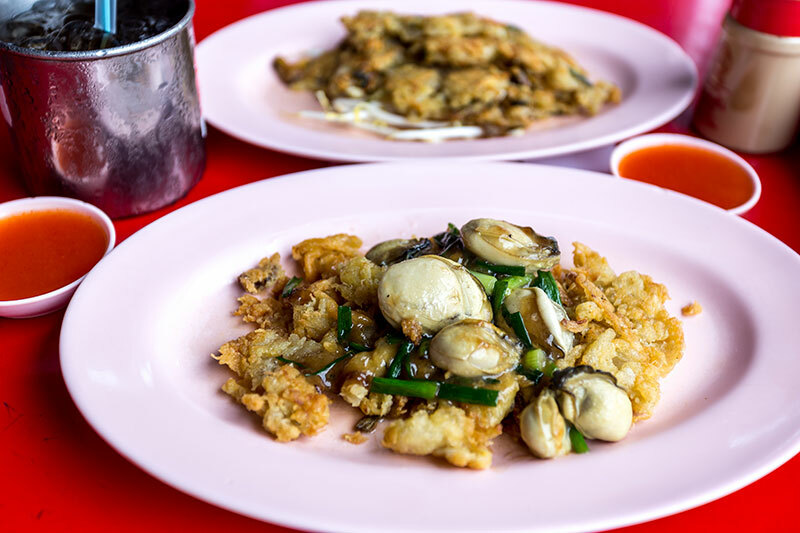 Awarded a Bib Gourmand by the Bangkok Michelin Guide, this little stall serves some of the best mussels and oysters fried into crepes and omelettes, similar to Malaysian orh jian. 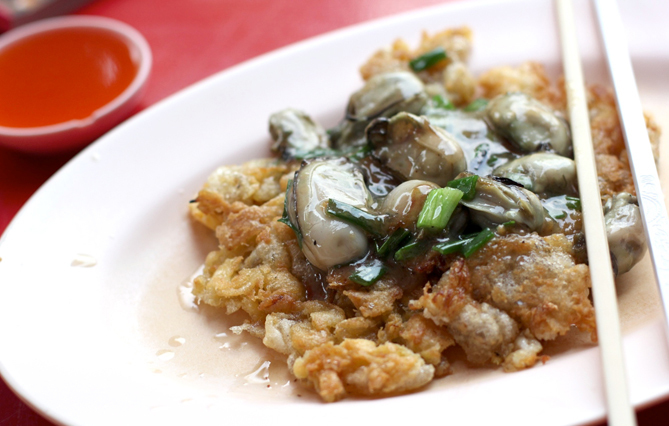 The crispiness of the fried egg mixed with the plump juiciness of the mussels or oysters will definitely make you crave more. Did we mention it's affordable too? Prices start from THB70 (RM9) onwards. I know what you're thinking... why pay money for instant noodles? But hear us out when we say that this is the perfect after-party comfort food – you'll need to just try to believe it's true. 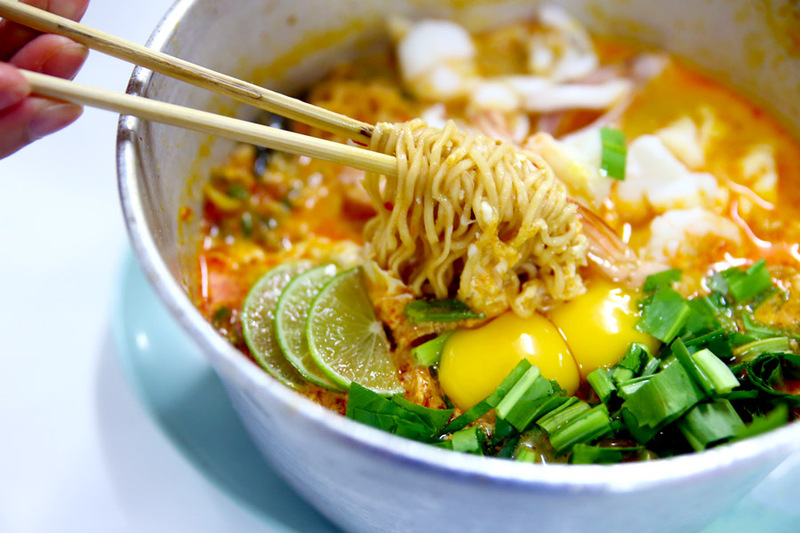 Its ingredients includes: Mama instant noodles, shrimp, squid, ground pork, pork balls, crispy pork, eggs, and the usual Tom Yum ingredients. 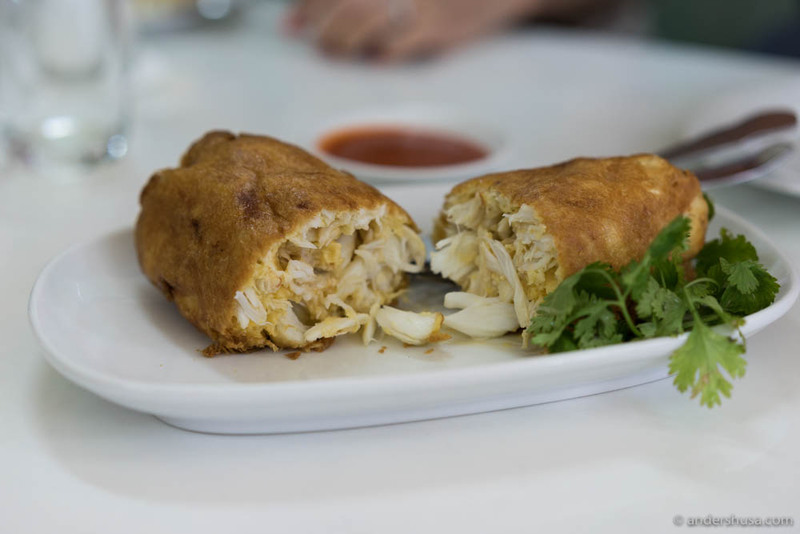 The dish is available as a pork ball version, seafood, or a combination of all. 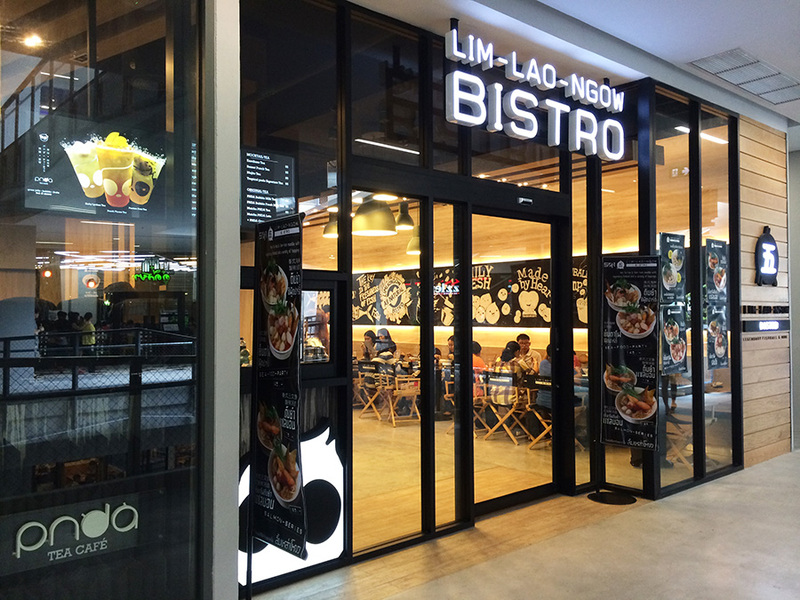 Take note that the noodles are only sold at 11pm onwards and is served in a sharing portion (enough for a minimum of two people). Prices start from THB120 (RM15) onwards. 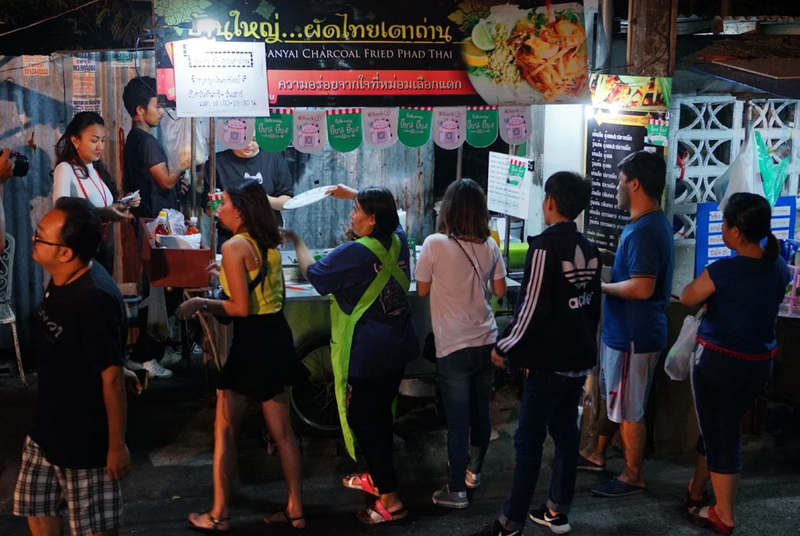 You can find pad thai pretty much everywhere in Thailand, but this stall's noodles is said to be extremely flavourful with a distinct smokiness from the charcoal flames. 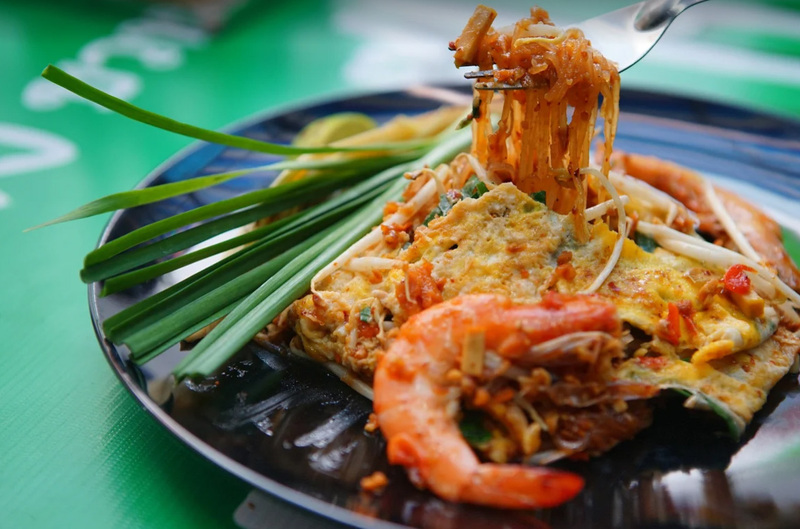 Hailed as one of the best places to get your pad thai fix in Bangkok, it's no surprise that it has earned itself a Bib Gourmand award. With that said, be prepared to have to wait a bit in line! Price: less than THB200 (RM25). 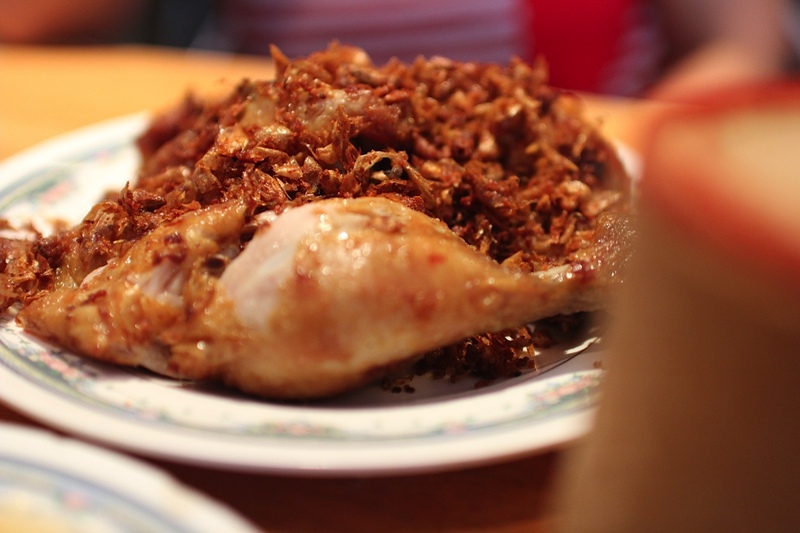 This freshly fried chicken has the perfect balance of crispy on the outside and juicy on the inside. But what really takes the dish to a spiritual level is its fried garlic toppings. 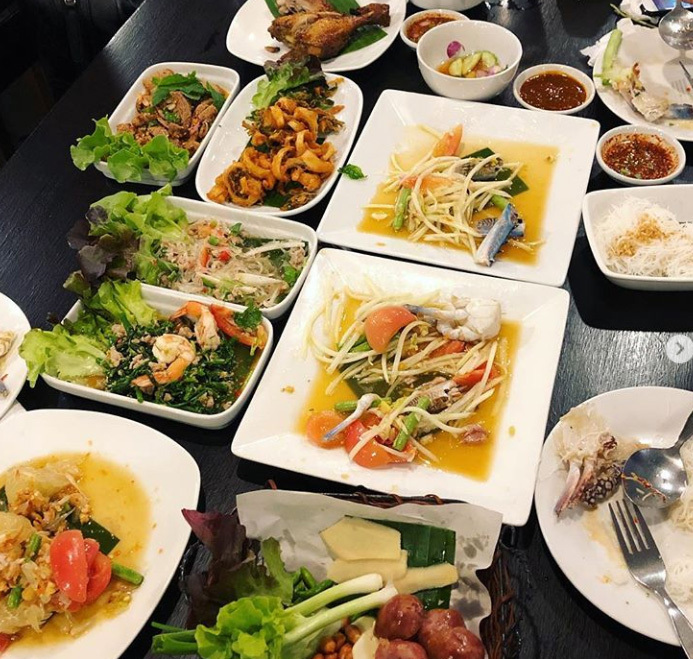 Eat it on its own or order sticky rice and som tum (papaya salad) to complete your heavenly experience. Prices start from THB100 (RM13) onwards. 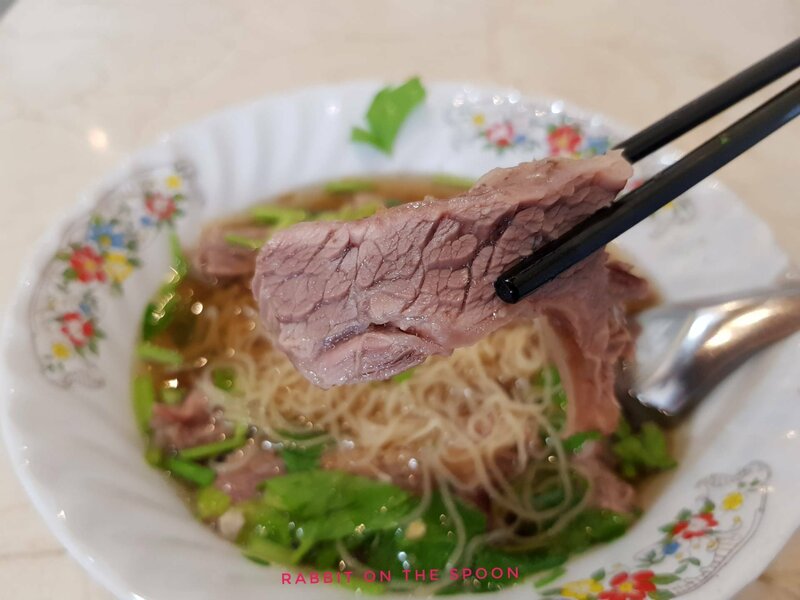 Raan Jay Fai is the only street-side restaurant that was awarded with a Michelin star, according to the Bangkok Michelin Guide 2018. 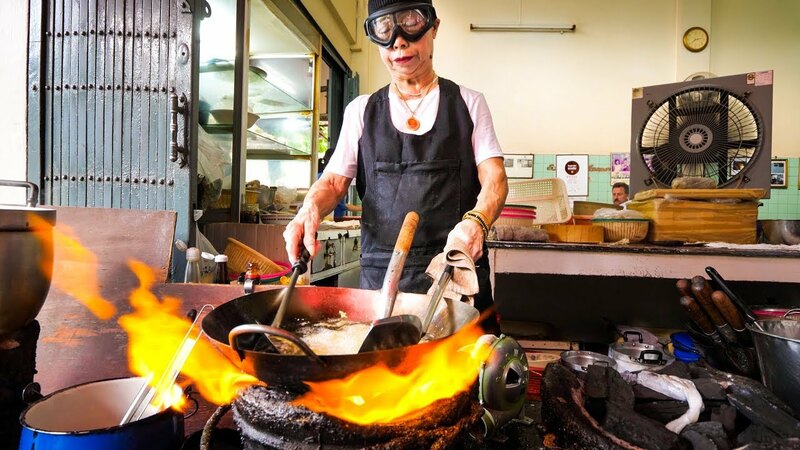 The stall is run by a 70-plus year old woman, known for her iconic safety goggles which she wears as she stir fries the crabs to perfection. 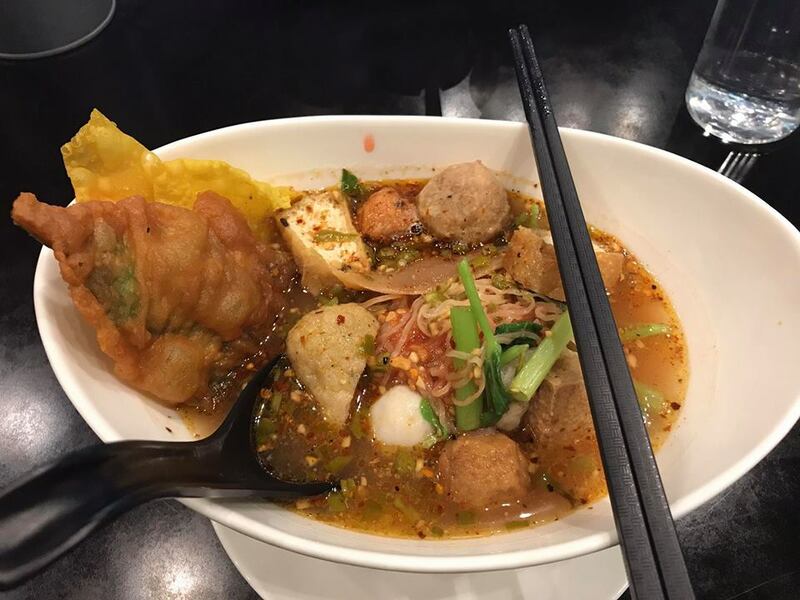 According to this review, another recommended dish to try here is the drunken noodles, which is flat rice noodles fried with spicy sauce, large prawns, and marinated in wine. 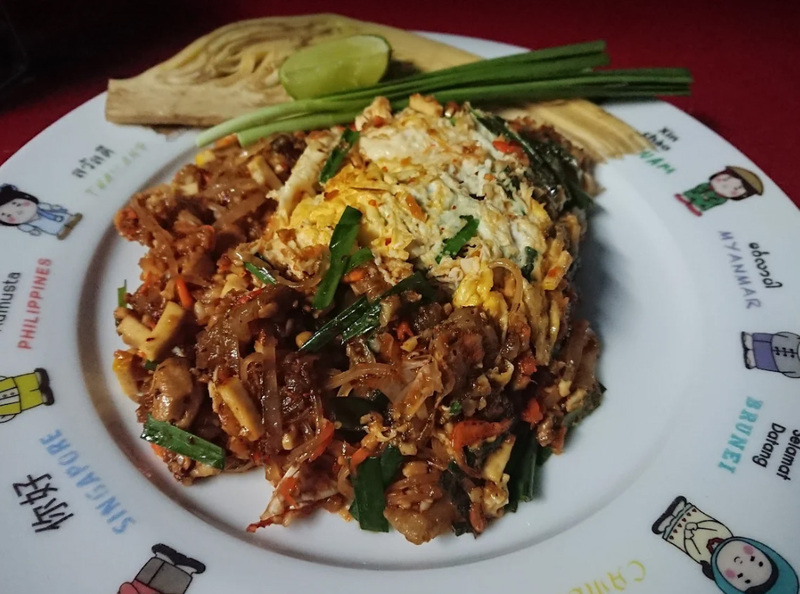 Prices for the crab omelette starts from THB1000 (RM128) onwards, while a plate of drunken noodles costs THB400 (RM50) onwards. 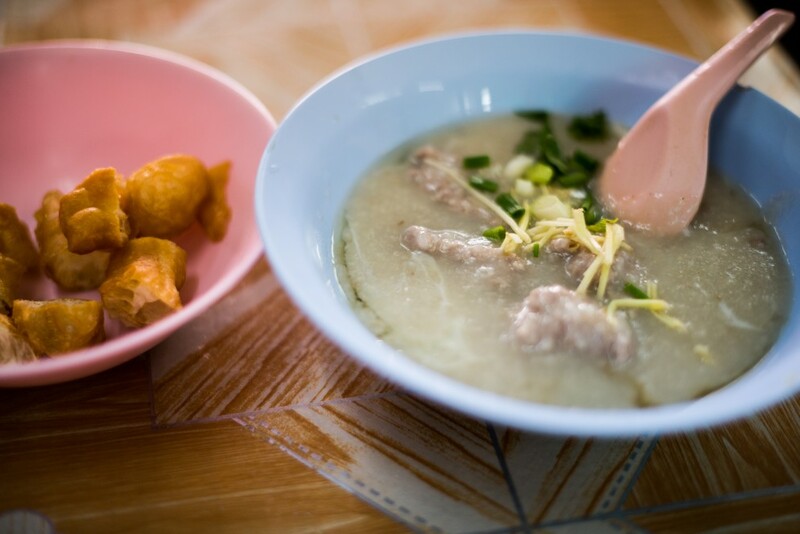 Ah, the ultimate Asian comfort food – porridge. 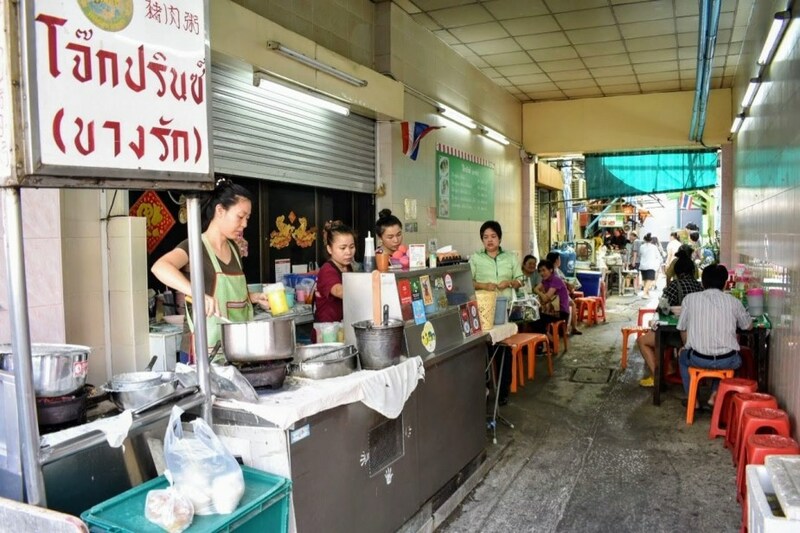 Located on a narrow alley is a stall which serves smooth, silky rice porridge topped with freshly cooked minced pork balls, sliced ginger, and a choice of raw or century egg. 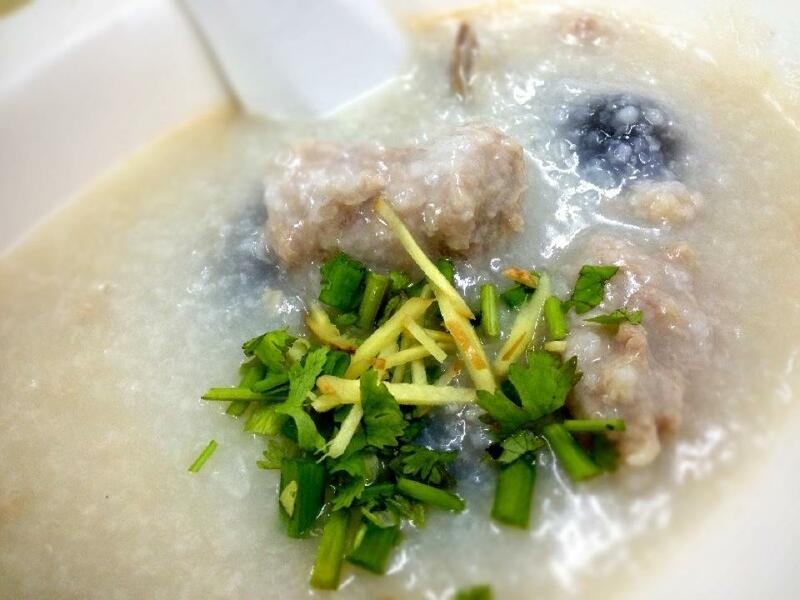 If you're an early bird, you'll definitely enjoy this hot bowl of congee for breakfast. 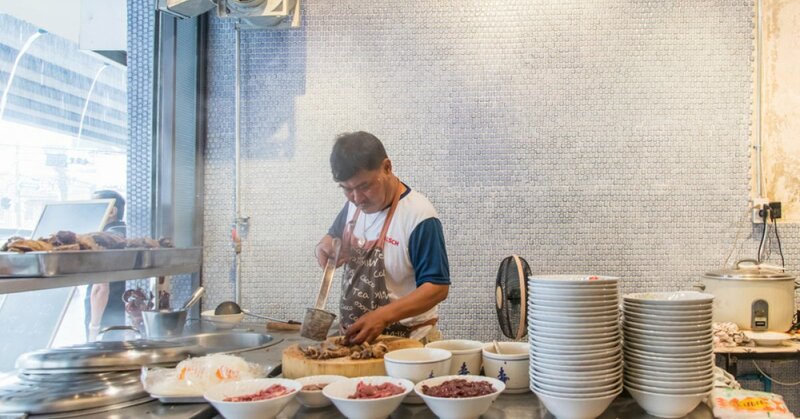 However, the stall is also open for dinner and supper. Prices start from THB40 (RM5) onwards. 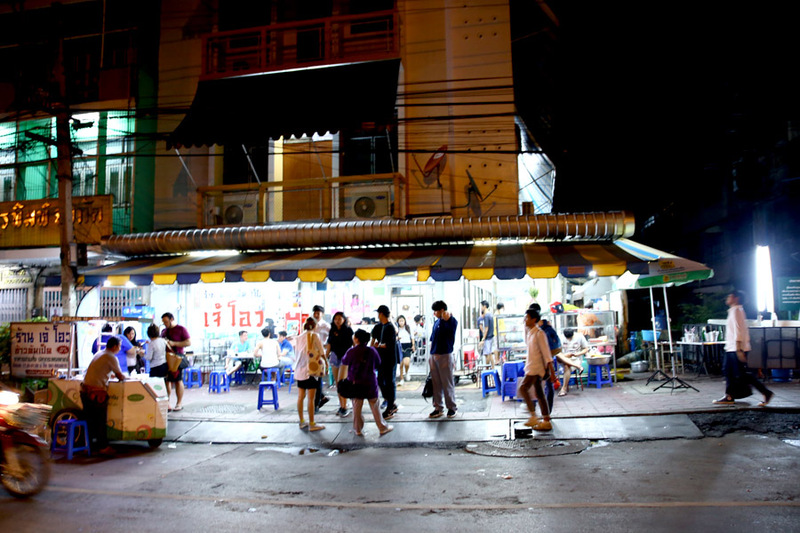 4.30pm - 10pm (dinner and supper) daily. 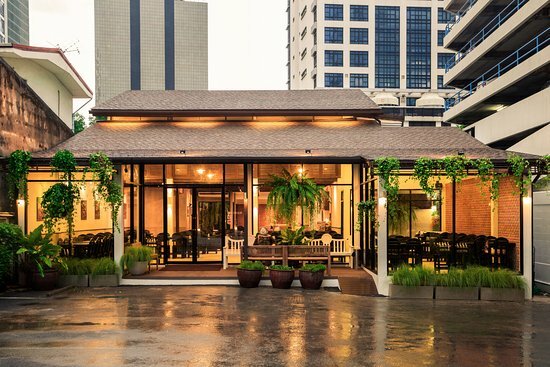 If you're looking for an eatery on the comfier side, Baan Somtum is an air-conditioned restaurant selling almost 30 different varieties of som tum. 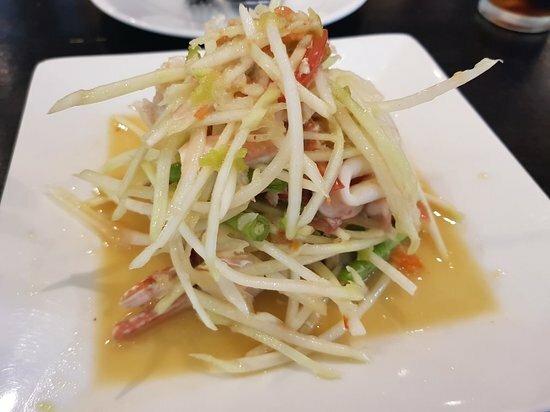 Som tum is a shredded green papaya salad, mixed with garlic, Thai chillies, fish sauce, roasted peanuts, lime, and more - giving it sweet, spicy, and tangy flavours. 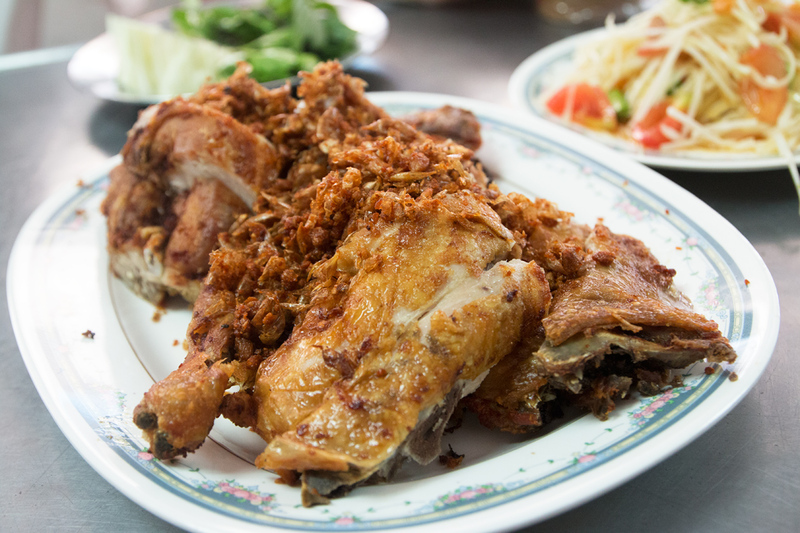 Order khao niew (sticky rice) to eat with it for the full north Thailand food experience. 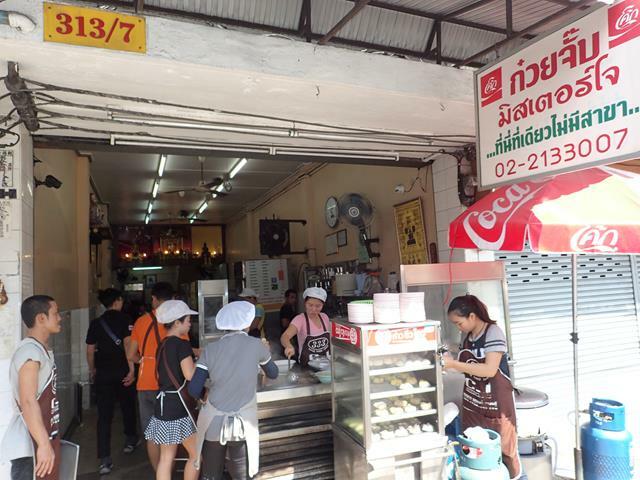 There are also other dishes available at the restaurant, such as fried fish, deep fried spicy minced pork, and pork ribs soup. Prices per dish range between THB45 - THB100 (RM6 - RM13). 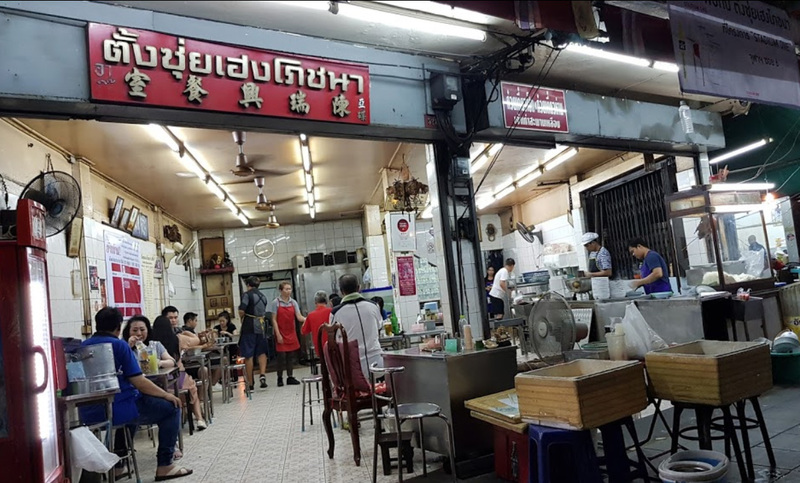 For years, Chanyanpat Tiveschayun has continued the legacy of his grandfather's mouth-watering braised beef noodles at this shop house in Bangkok. 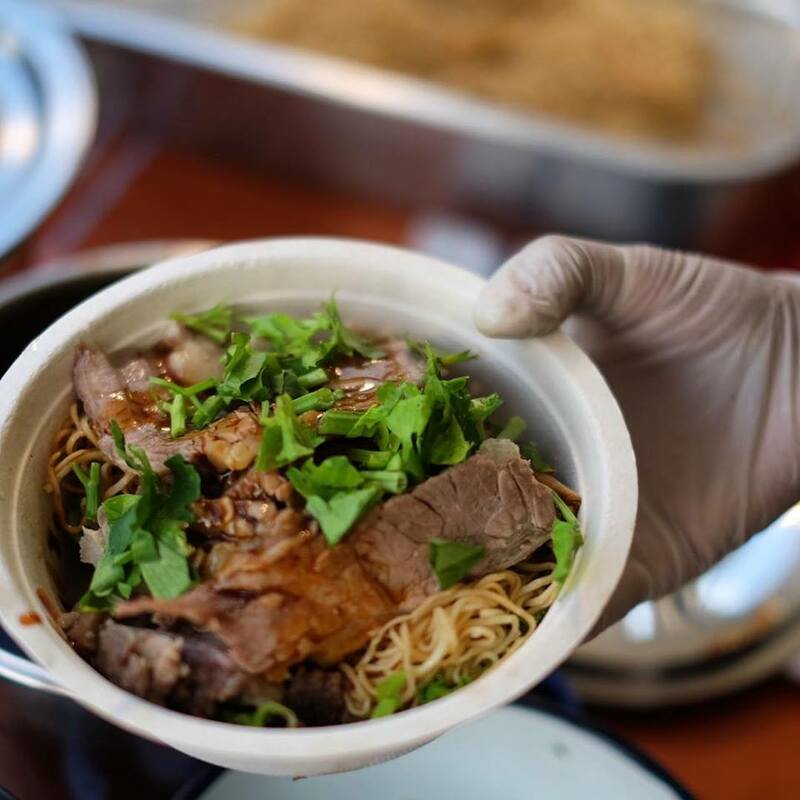 The beef brisket is said to be braised for four to five hours before being served to customers in a piping bowl of noodles. Reviewers claim that it's so good, you'll want to slurp every drop up. 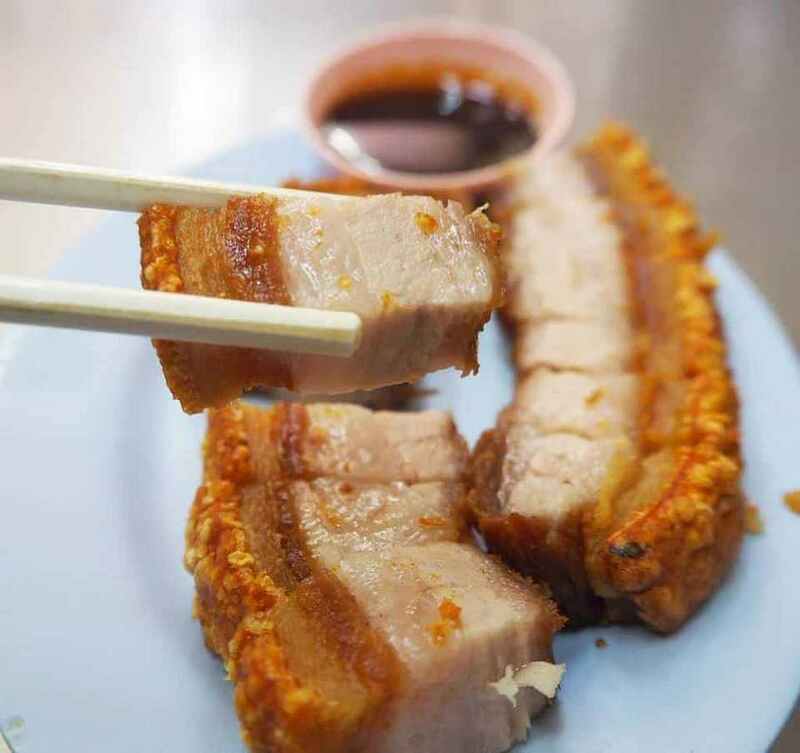 You can't pay a visit to Thailand without indulging in this crispy pork goodness. 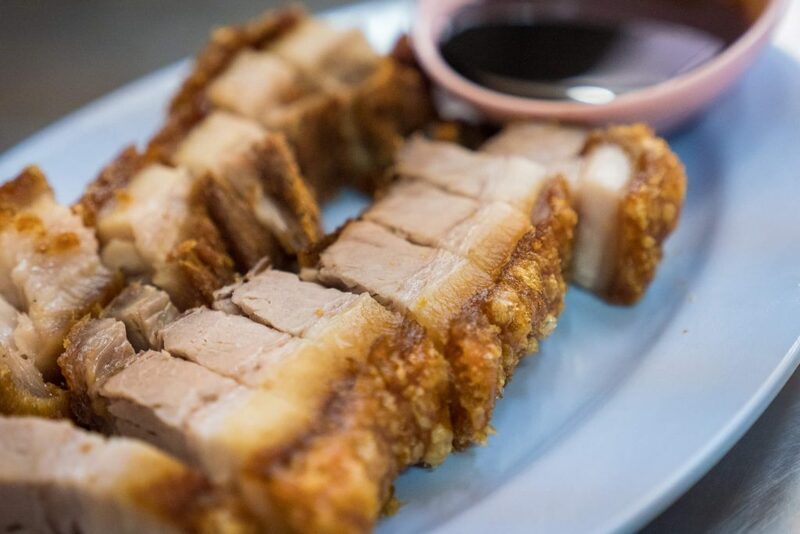 The dish is served with a dark sweet sauce which perfectly contrasts the salty outer layer of the pork fat. 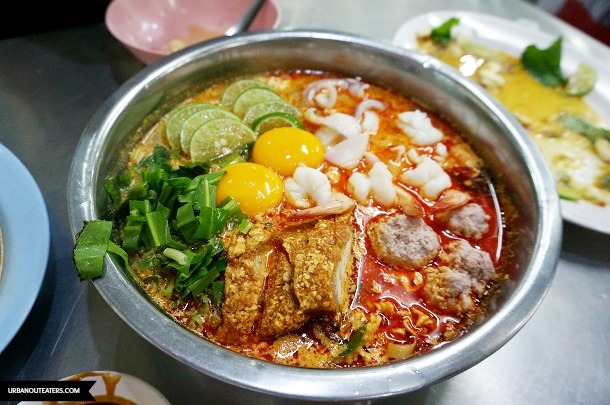 You can also opt to eat it without the sauce or mixed into a bowl of peppery, soup noodles known as Guay jub. Prices start from THB55 (RM7) onwards. 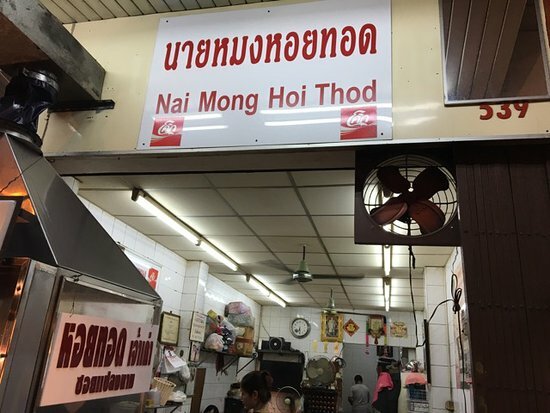 Having been around for 80 years, this restaurant chain has become known for its fresh, bouncy fish balls, made from a mix of fish and no flour. 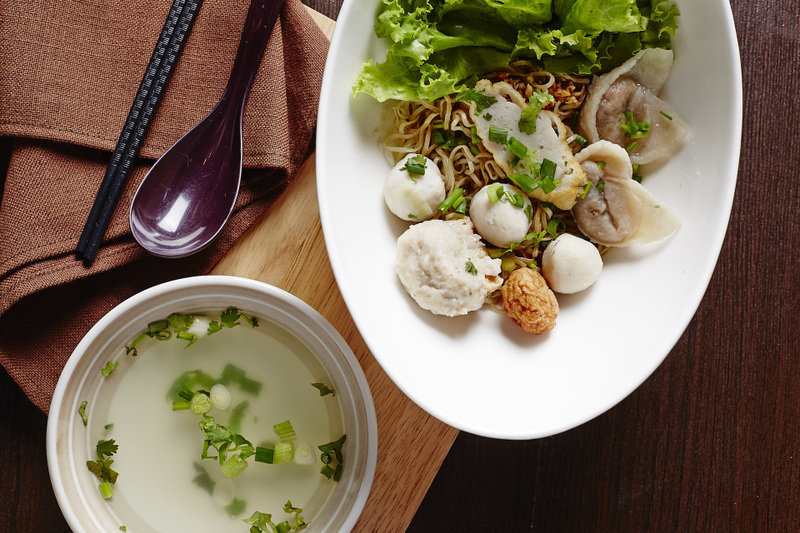 It is usually served with a bowl of homemade egg noodles. 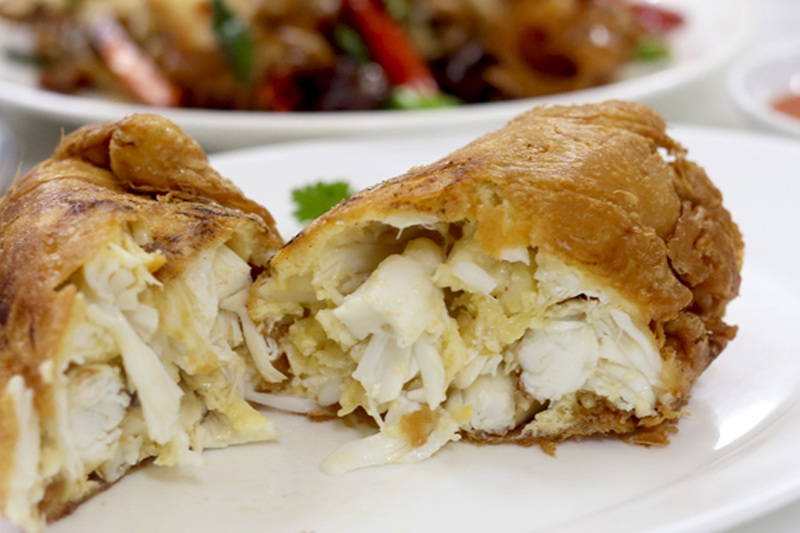 The fish wantons are said to be a must-try! 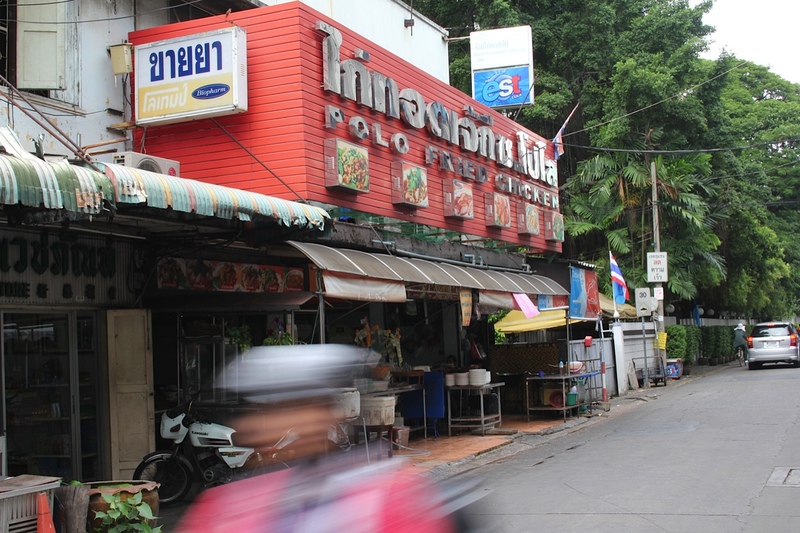 There are several outlets around Bangkok, so do Google the closest one to you if you're in the mood for a good bowl of noodles! Prices are less than THB200 (RM25). You can find out where its branches are here. 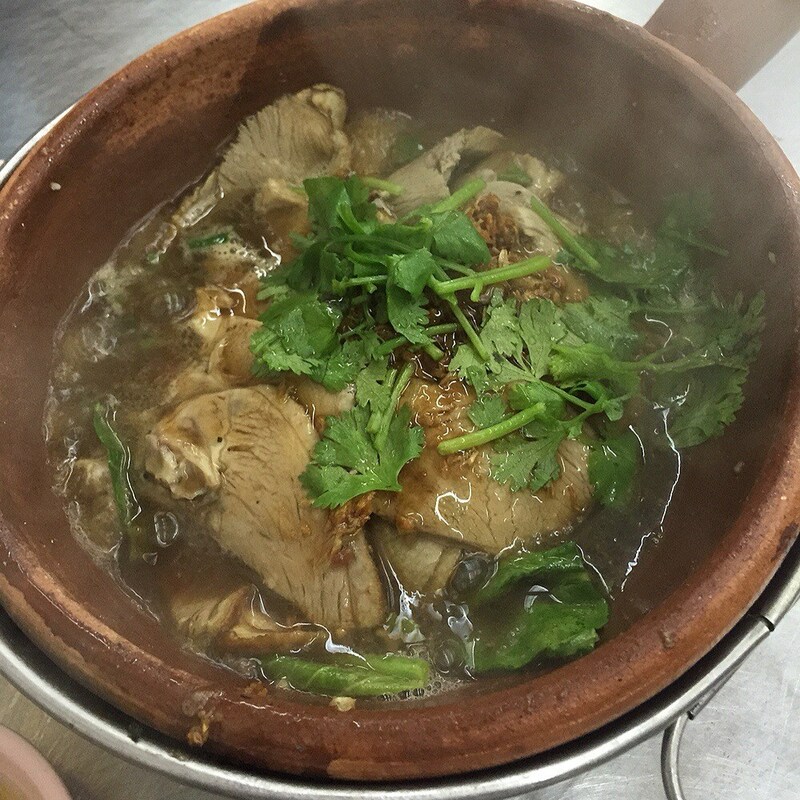 This family-run business earned its Bib Gourmand award for serving customers its signature clay pot stewed duck and goose for more than 50 years. 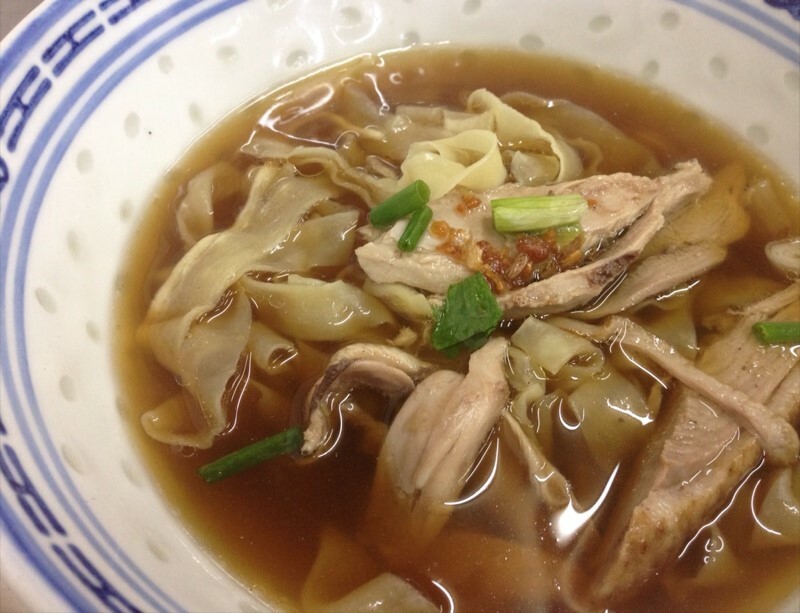 You can also order a side of noodles to mix with the spicy duck broth. Prices start from THB200 (RM25) onwards. Heading to Thailand soon? Share and tag your friends who would try these dishes with you! For nice Instagram shots and even better food! Don't read on an empty stomach.